Floor hockey clinics for children begin in January. Boulder City Parks and Recreation Department will begin its youth floor hockey program in early January. Clinics for kindergarten, first- and second-graders will be held at 6 p.m. Jan. 6 and 7 at the Recreation Center, 900 Arizona St. Floor hockey for third- through sixth-grade leagues will begin in March. 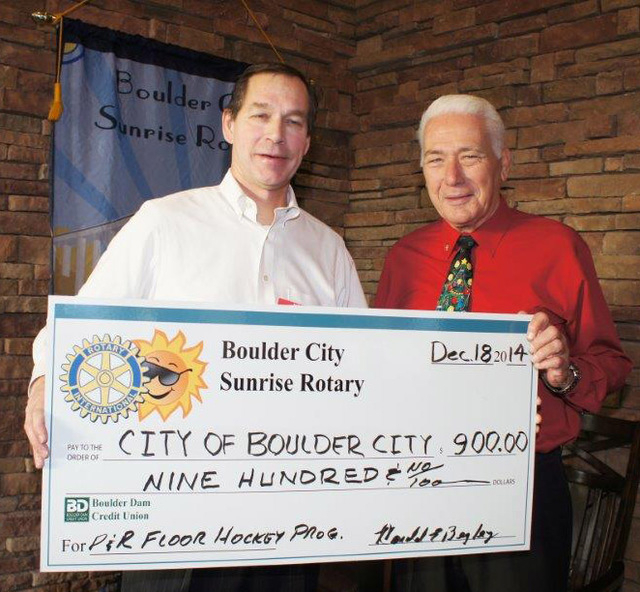 The leagues are being sponsored by Boulder City Sunrise Rotary club, which recently presented the parks department with a $900 donation to underwrite the costs of providing equipment and uniforms for the teams. For additional information, call 702-293-9256.